You see, in my naivety I had determined not to give him the bribe for which he was obviously hankering. Coming from Europe, I was trying to do my bit to right the horrible image that had become the trade mark associated with the name, Nigeria. But how do you stand your ground in the face of such obtuseness, especially when you know that you are likely to be faced with similar reasoning at a station filled with trigger-happy policemen who would not hesitate to 'accidentally' discharge their bullets into you? Needless to say, I eventually handed him the few Nairas he was seeking; at which point he turned all hale and brotherly – the Naira had suddenly turned me into his 'sister' and, magic of all magics, had also, somehow managed to turn my 'foreign' cereals into locally made ones! 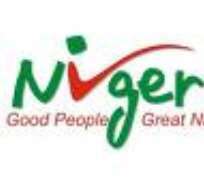 Re-branding Nigeria? With the Local Government? One of my numerous cousins owns a restaurant somewhere in the heart of Lagos. As far as I know, the only electricity power she's ever had in the place comes from the power generating set that she bought when she opened the restaurant. The same goes for water, which she buys, every other day, from one of the water tankers. However, that does not seem to deter representatives of the local government, where her restaurant is situated, from sending her water and electricity bills – which she invariably pays, in order not to have her source of living closed down – or from levying other bills on her, ranging from the reasonable to the plain unreasonable. Still talking re-branding? With the General Public? Charity, they say, begins at home. When I am in Nigeria, I am always amazed at how readily people will carelessly fling out a gum, biscuit, or sweet wrap, and even banana peel, out of the windows of their cars. These same people are often the ones who complain incessantly about how 'dirty the streets are.' How about the way we treat those who have not been opportuned to be born into rich and well-connected homes? How often do we encounter rich women in our society, who earn six figures salaries, yet pay their workers barely enough to live in dignity, work those staff seven days a week, often from 6.a.m to 11.p.m, and still expect them to perform at the optimal, every single one of those days? Ok, let's talk about the way we are ready to treat store and restaurant staff with dignity when we are outside our country, but fail to offer the same treatment to people working in the same field when we are in our home country. Still thinking re-branding? With Nigerians in Diaspora? So far, we've concentrated on re-branding within the country. However, what about the image of the country as portrayed by some of our people in the Diaspora? I live in Vienna, Austria, and I can confidently tell you that except for those working for big organizations like OPEC and the United Nations, honest Nigerians are finding it increasing difficult to rent accommodations or halls for some of their activities, because of the woes created by the senseless behaviours of some of our Nigerian brothers and sisters. I have been living in Vienna for the past eight years, and so far, out of every ten parties held by our people here, seven of them, at least, usually end in fights – and I am talking about the kinds you find in places like Isale-Eko in Lagos, the kinds involving broken bottles, torn shirts, blouses and skirts – oh yes, some of our women fair no better than our men here! Our host are often privy to these fights – some go as far as taking pictures and sending them to their local papers, who take great joy, it seems, in printing those photos, with such bold captions that you would have to be literally blind not to see them from yards away. So, considering that the first-hand knowledge that majority of the people in our host country will ever have of our country is determined by that which we ourselves display while in the Diaspora, that is a worrying thought indeed. Still on about re-branding? With Our Leaders? They say one single picture is equivalent to a thousand words. A couple of years ago in Nigeria, a friend's husband – a French guy – walked into their Ikoyi home looking all flustered and red in the face. It took a couple minutes to get any word out of him. When he was finally able to speak, the story he told was so deplorable in its brutality that when he was done, our mouth were left gaping in collective shock. According to him, he, and several other motorists, had been stuck in a bumper- to- bumper traffic for about 30 minutes when they heard the familiar wailing sound of an approaching motorcade. As is usual in Nigeria, the Mopos in the leading car were leaning out of the cars, with kobokos (leather bound whip) in their arms, literally trying to beat a way free for the 'Madam's car to pass through. Everyone was scrabbling to move their car out of the way, but the traffic in Lagos is famed for its gridlock inaccessibility. As a result, one unfortunate driver was not able to get his car out of the way quite fast enough. Needless to say, the koboko-happy Mopos descended on him with such appalling brutality, according to my friend's husband, that when they were done, the driver was laid out on the ground; under the blazing 3.p.m sun for which Nigeria at the height of its dry season is renowned, thoroughly beaten up and unable to stand up. And while these senseless beating was going on, 'Her' Excellency was carelessly flipping through the latest edition of City People in the back of her official car. Rebranding Nigeria; Need I say more?